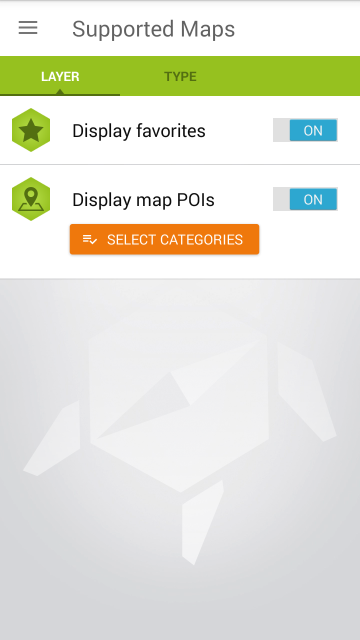 This screen allows you to change the map type and modify the POIs to be displayed. 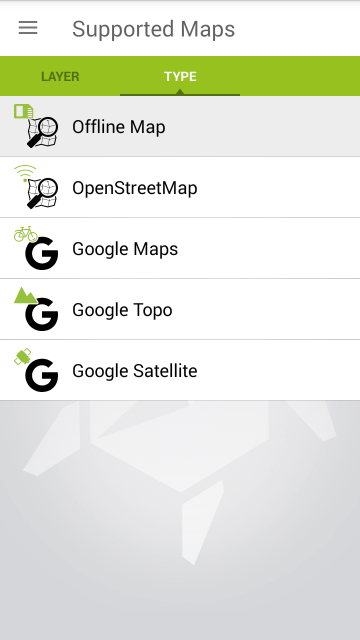 Besides the Offline Map, the application supports online layers, such as OpenStreetMap, Google Maps, Google Topo and Google Satellite. This can be changed on the ‘Type’ tab. The ‘Layer’ tab lets you control the items to be displayed on the selected map layer. 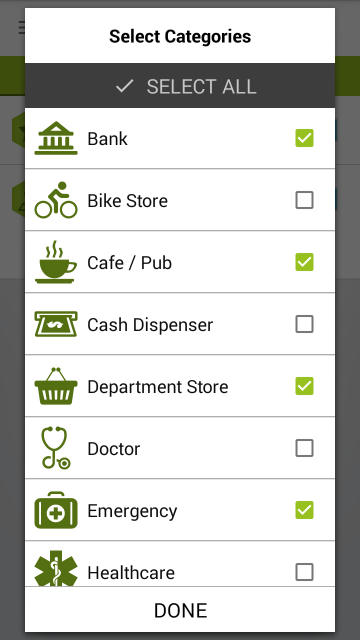 You can enable/disable favorites and POIs, furthermore, it is possible to filter POIs by their category.